Kidney Disease is the 9th leading cause of death in the United States. Kidneys are responsible for eliminating toxins from the body in the form of urine. If this function ceases to work, fluid accumulates in available spaces causing swelling in different parts of the body. Kidney disease or renal failure can be treated effectively with a combination of lifestyle and dietary changes. In addition to the intake of medicines to treat kidney disease, appropriate dietary intake is necessary. These changes can delay the progress of the symptoms and the need for dialysis. Maintaining blood pressure and sugar levels through proper diet is essential. When beginning dialysis, usually a dietician will recommend the necessary dietary changes according to the status of the patient. The two most important things for renal disease patients to remember are to control sodium intake and avoid drinking too much water as this can worsen the problem. The food items to be avoided include high sodium foods such as meat products like ham, bacon and sausages, cheese, pickles, sauces and most Chinese food. Salt is a good preservative and thus is present in excess in canned foods and packed items. It is therefore better to choose fresh food over preserved food items. Canned fish and vegetables must be rinsed thoroughly and drained before use to wash away the excess salt. Restrict your fluid intake. This includes fruit juices, ice cream, desserts and watery fruits such as watermelon. Limit these items to a total of four to eight cups a day. Reduce your potassium intake as well. Potassium is present in high quantities in nuts, avocados, peaches, kiwi, dried fruits and lentils. You can eat grapes, blackberries, cauliflower, cucumbers, and asparagus. Juices such as apple, cranberry, lemonade and grape can be taken as long as they are counted into the daily fluid intake. Protein intake must be limited in those who are in the pre-dialysis stage. It makes up a major portion of the diet for those who have been through dialysis. 2 grams of protein per kilogram of body weight is recommended for the latter group. Although meat, poultry, fish and eggs are high in phosphorous, they should not be limited as they are high in protein. Calcium intake must also be controlled; otherwise this can lead to serious bone disease in later life stages. Abstain from smoking and drinking. Sufficient calories must be consumed as malnutrition is often a problem with renal patients. Too few calories lead to the breakdown of muscle. There may be a loss of appetite accompanying kidney disease. Supplements must be taken additionally to compensate for this. You can choose healthy low salted snacks and squeeze lemon juice into your food to make it tasty if you feel the food is bland. However do not return to processed foods no matter what! Consult your renal dietician before starting any dietary restrictions. 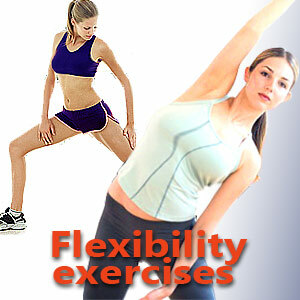 Maintaining a normal body weight and exercising also help lower your blood pressure and provide several health benefits. Diabetes coupled with high blood pressure is one of the leading causes of kidney disease. By controlling diabetes, you are protecting your kidneys. Although not everyone with diabetes suffers from renal disease, over the last ten years, the number of people who suffer from diabetes and thereafter develop renal disease has doubled. If the blood sugar level is not properly controlled or after years of diabetes mellitus, the filtering system in the kidneys becomes damaged and kidney function reduces. The symptoms of diabetic kidney disease include frequent urination, high blood pressure, burning sensation during urination, vomiting and nausea, swelling of the hands or feet, itching, weakness and blood or protein in the urine. According to the American Diabetes Association, individuals with diabetes must check for albumin and serum creatinine levels in the blood once a year beginning at puberty. Risk factors for diabetic renal disease include genetic susceptibility, presence of retinopathy, hyperglycemia, high cholesterol and triglyceride levels, increasing age, smoking and duration of diabetes. Men are more prone to the disease. Salt and protein intake ought to be restricted. Blood pressure and blood sugar levels must be regulated. Check for urinary tract infection. Keep yourself well hydrated and avoid drugs which harm renal function. Intensive management of blood glucose is a regimen that must be followed to keep the glucose levels normal. This regimen includes frequently testing for blood sugar, administration of insulin, regulating food and exercise. When people with diabetes reach the stage of kidney failure, they either undergo dialysis or a kidney transplant. Due to better control of diabetes, diabetes patients with renal disease have as good a chance for survival as those without diabetes. Those with diabetes must regularly check their blood hemoglobin levels, at least twice a year. Regular urine tests for microalbumin and protein are recommended. Patients must regularly check their blood pressure and try to keep it within normal levels with the help of a doctor. 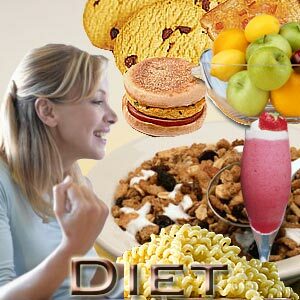 Visiting a dietician to control diabetes, hypertension and delay the progress of kidney disease is important. Regularly taking medication, planning a diet and exercise chart is essential. Those who suffer from Type 1 diabetes also have a better prognosis due to advances in transplantation. First Published Date: 16 Mar 2010 Last modified Date: April 23 2019 This page may have been updated recently as new information is available or the content may have been edited for better readability.